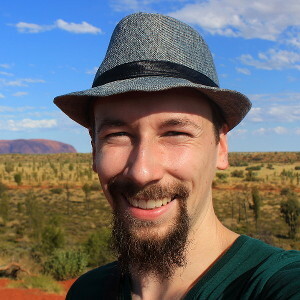 I spent four nights in Czech Republic. I really enjoyed my stay, but it also made me wonder about the losing appeal of traveling in the digital age. I’ve been thinking. To be honest, I’ve been thinking about this same subject for a few years, but now it seems very topical again. Am I the only one who is rarely very impressed by popular tourist destinations? 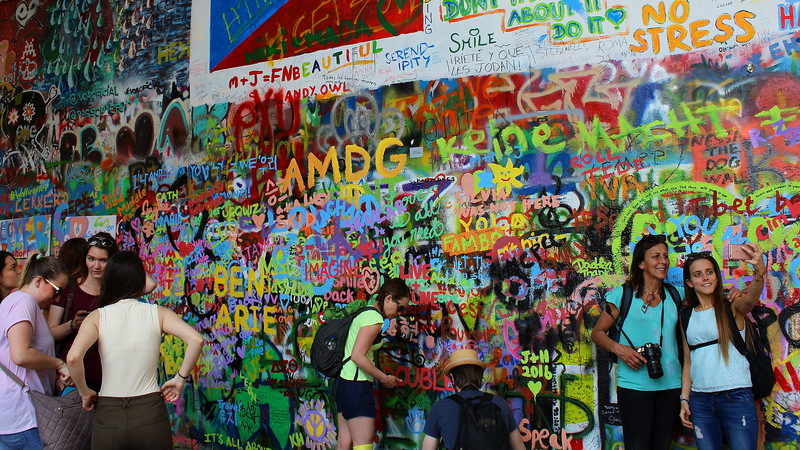 The famous John Lennon wall of Prague. Lots of tourists, not much Lennon. A few reasons for this come to my mind. First, during this modern technological era that we’re living, probably all of us have seen most of the biggest tourist sights of the world countless of times. And we haven’t just seen them. We’ve seen them in edited and stylized photographs that always look better than life itself. 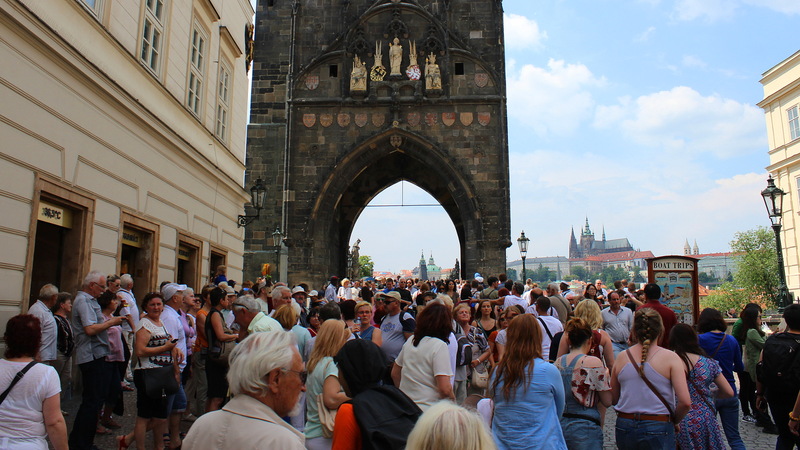 The way to Charles Bridge, one of the most popular landmarks of Prague. The second reason is something that’s usually missing from those pictures: the huge herds of tourists. The old town of Prague was very beautiful, but the amount of people and noise everywhere are an inseparable and not always enjoyable part of the experience. Still, I want to emphasize that I really enjoyed my stay in Prague. My CouchSurfing hosts Pavel and Jelena were some of the nicest CouchSurfing hosts I’ve ever had. 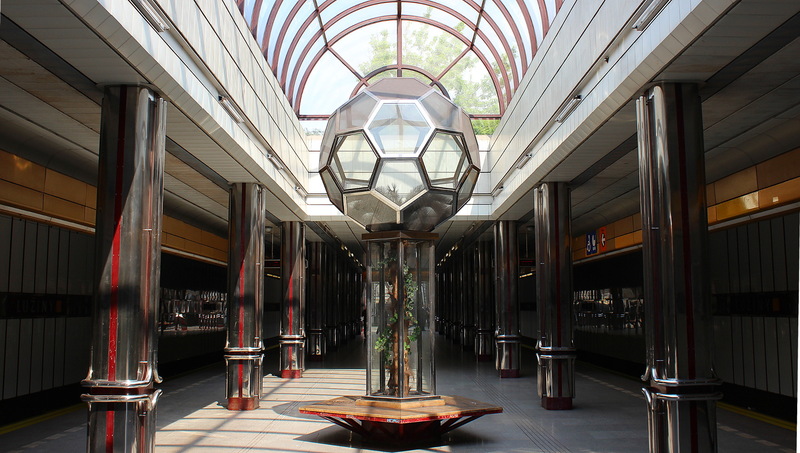 And this metro station (Lužiny) near their home was also very cool! When I’m most impressed by tourist sights, it’s usually when I see them without too much advance information. Luckily, I had one of those experiences in Czech Republic when I visited Kutná Hora, one of the smaller old cities near Prague. The quiet beauty of Kutná Hora. I only went to Kutná Hora to visit an art gallery. Our psychology student’s association in my university had taken their logo from an advert some of their students saw in Prague in 1991. Last year, one of my friends traced the original creator. He turned out to be a renowned Czech artist, Pavel Brázda, who is now 90 years old. Seeing his art in an exhibition was one of the highlights of my stay in Czech Republic. 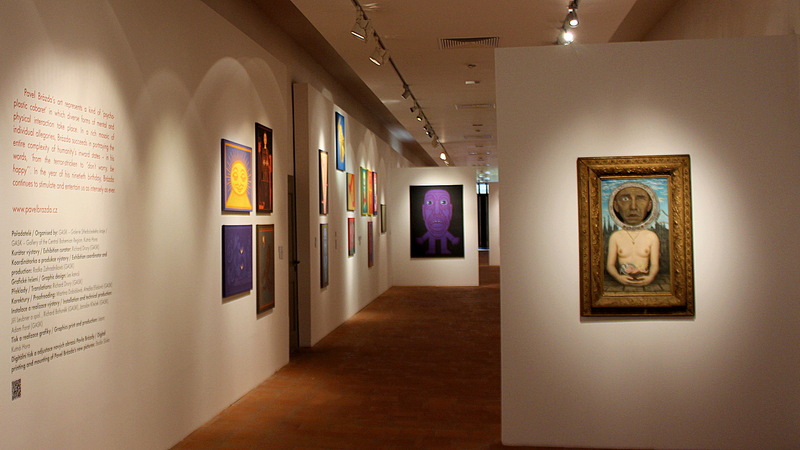 The exhibition of Pavel Brázda was in a former Jesuit College built in the 16th century. Because I didn’t know much about Kutná Hora before my arrival, the element of surprise remained and I was very impressed by the city. 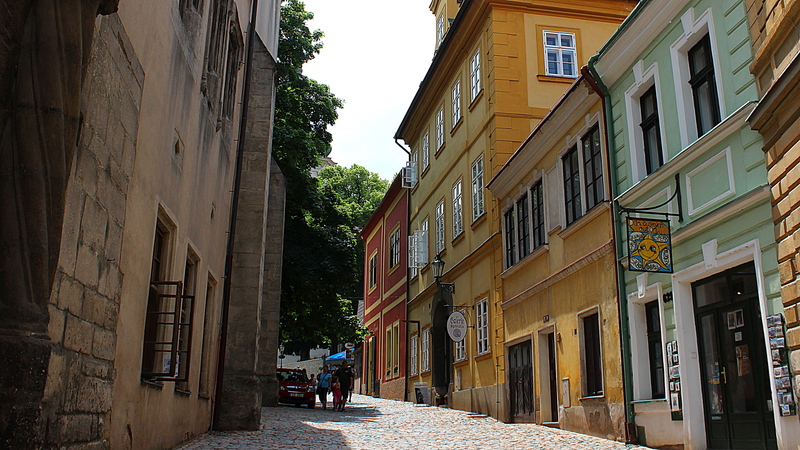 After the crowds of Prague, the idyllic and quiet old town felt like a paradise. Unesco World Heritage site Sedlec Ossuary, also known as the Skull Church is one of the most impressive tourist sights in Kutná Hora. 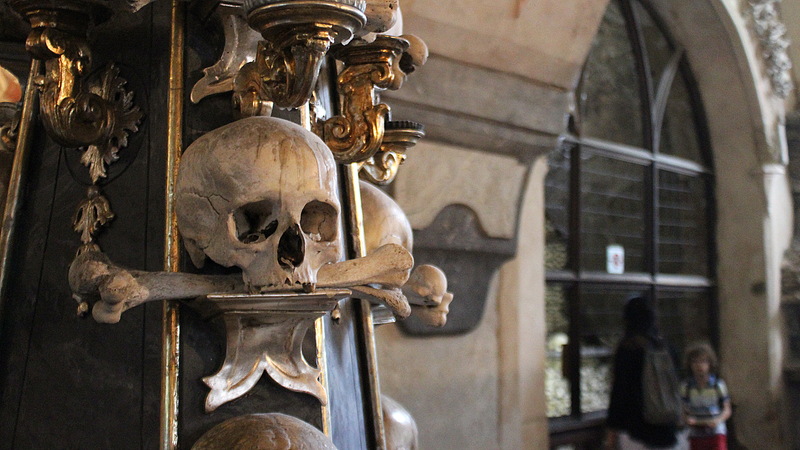 The church is decorated with formations made of tens of thousands of skulls and bones. 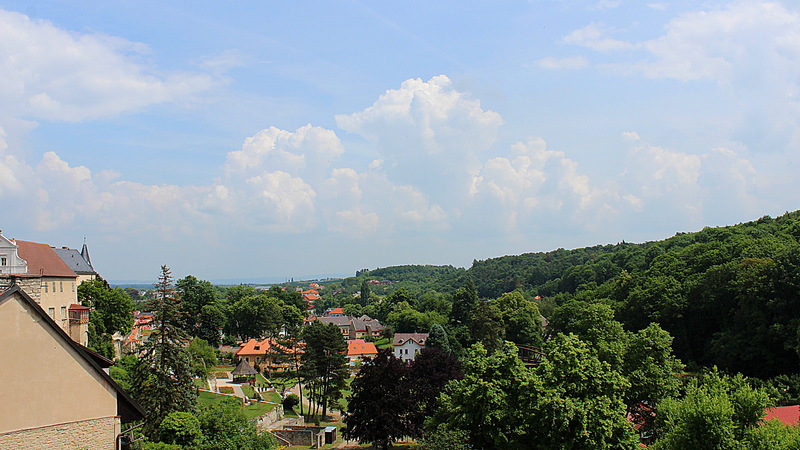 A view from Kutná Hora.